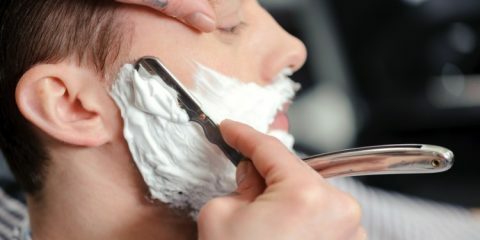 For many men, shaving is as essential as brushing their teeth. It’s important to invest in a shaver that will give you all the features you need in your daily life. For some men, travel and shaving have to be compatible. For others, a cleaning station and convenient wet shaving is vital for looking their best. The Series 9 from Braun has many great features in their original models like the SyncroSonic elements and the HyperLift and Cut. They’ve improved upon those models with upgrades that make shaving a pleasure. It can be tough to decide between the original versions and the upgraded versions. This is a breakdown of the Series 9 versions available from Braun, so you can choose the one that appeals to your lifestyle. 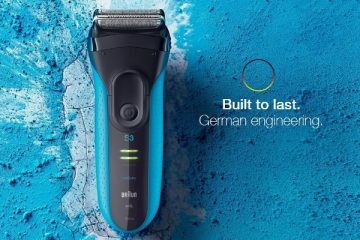 Why is Braun Series 9 the World’s Best Shaver? Is the Upgrade Worth the Price? What Model Should You Buy? Five Shaving Elements – There are 4 separate cutting areas on the head of the Braun 9290cc. Each shaving element moves separately while the fifth area guards the skin from cuts. It’ll smooth the skin for the closest shave possible. This will also help eliminate razor burn from having to shave an area more than once. Durable Design Build – While the 9290cc looks great, it’s designed to be durable, too. It’s a durable plastic, but one that is built to withstand abuse. It’s a solid shaver with a rubber grip designed to be used with wet hands. You don’t have to worry about the shaver falling in the sink and breaking. Precision Trimmer – Shaving your face clean involves more than just the shaver you use. The trimmer for your sideburns also matters. Messy sideburns can ruin a clean shave. There’s a trimmer on the back for trimming sideburns as well as your mustache or back of the neck. Cleaning and Charging Station – The cleaning and charging station is a patented 5-action design. It’ll clean, sanitize, lubricate, dry, and charge your shaver. The LED display will tell you when a charge is needed, too. Every time you use the cleaning and charging station, your shaver will be like new again. Waterproof Design – The new designs of the Series 9 include wet/dry options. That means you can take this shaver into the shower with you. The case is completely waterproof, so it’s protected from water hitting the interior and ruining the motor. The 9290cc is a sleek-looking shaver with a durable design and extra features that make it feel good in your hand. It’s ergonomic, which will keep you from having hand fatigue while shaving. The grip will keep it in your hand as well. Some of the best features of this shaver come from its convenience. It’s a well-designed shaver that has an LED display. That display will tell you how much battery you have left down to the exact amount. This is a good feature for those who travel and want to charge the shaver before they leave. You can easily keep an eye on the battery level while away. It’ll also show the hygiene level. You’ll know exactly when your shaver is due for a cleaning. That brings us to the charging station. Braun has the only 5-action charging and cleaning station. Instead of you cleaning and sanitizing your own shaver before charging, it’ll do all of that for you. It’ll also lubricate and dry the shaver, so it’ll be like having a brand-new shaver each time you charge. The sleek outer shell of the shaver picks up fingerprints, so you’ll have to wipe it after each use to keep it shiny. Sonic and AutoSense Technology – Each shaving element has blades that provide 10,000 microvibrations. The AutoSense technology will adapt to the length of your whiskers to give a customized shave. It’ll capture and cut more hair with every pass. 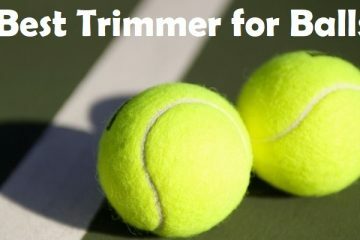 Special Trimmers – On the head of the foil shaver, there’s a guide that is used to capture hair. Hair can be tricky sometimes. It’ll grow flat to the skin, which makes it hard to pick up and cut. The titanium trimmer will guide the hair to be cut by the foil part of the shaver. Wet/Dry Technology – The 9293s is a wet/dry shaver that is also completely waterproof. Some shavers can be used with foam or gel, but can’t be submerged in water. That’s not the case with this shaver. You can take it into the shower with you to cut your morning grooming time. Charging Stand – There is a charging stand that can be used to hold your shaver when it’s not being used. You don’t have to toss this beauty in a drawer. It can sit out on display in your bathroom. The LED display will let you know when you’re ready for a charge, too. 10-D Contouring – Each of the foils moves independently from the next. This gives you a close shave. The foils are able to move with the varying angles of the face. It’ll glide smoothly across the cheekbones to the jaw and under the chin easily. 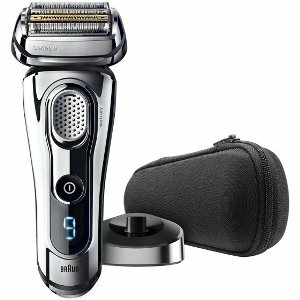 Braun boasts that this shaver can last up to 7 years. That’s certainly likely with the durable design and incredible features in the shaver. While it’ll last for years, Braun is always coming up with great technology and new features that’ll make you want to upgrade. This shaver is an upgrade from a previous model. It has titanium trimmers and the ability to capture more hair for a smoother shave. The HyperLift & Cut trimmer is made for those hairs that lay flat against the skin. The shaver has a protective SkinGuard that will smooth the skin and help you avoid razor burn and ingrown hairs. After using this shaver, you won’t have to worry that you’ve left any hair behind. The unique MultiHeadLock allows you to lock the 5 foils into a position that will give you a more precise shave. This is fantastic for the area under the nose or along the jaw where you want to keep the same angle in place. 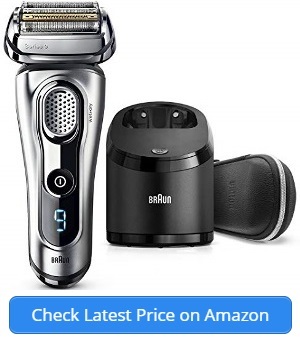 Braun has really studied what men want and need for a close shave. The shiny chrome is beautiful, but it picks up fingerprints easily. 100% Waterproof – The 9295cc is completely waterproof. While most of the Braun shavers can be used wet or dry, they’re not all waterproof. The shaver can be completely submerged in water, which means you can use it in the shower. That will help you get ready faster every morning. Quick Charge – The shaver charges in one hour for 50 minutes of shaving time. It’ll also give you a quick charge within 5 minutes for a quick shave. You’ll be able to keep track of the charge amount on the display, too. 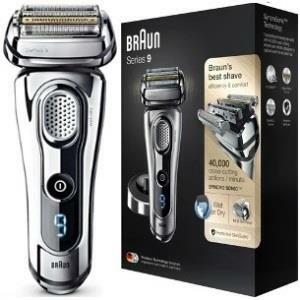 LED Display – On this shaver, the LED will give you all the information you need. You don’t have to fiddle with any buttons, either. It’ll give you the amount of battery left on the shaver. It’ll show you the hygiene status, too. There’s also a travel lock, so your shaver doesn’t get bumped while in your luggage. The LED will show an indicator. Precision Trimmer – There’s a trimmer attached to the shaver. The popup trimmer shapes your mustache, around your beard, the back of your neck, and sideburns. It’s an entire grooming system in one shaver. The trimmer is made of titanium for a strong yet smooth shaving experience. Cleaning and Charging Station – Braun has the only 5-action charging and cleaning system for shavers. It’ll perform 5 actions smoothly and efficiently without you having to do any work. It will cleanse, sanitize, lubricate, dry, and charge the shaver for your next use. Braun has really great features in their new Series 9 shavers. They have a short charging time of 60 minutes for 50 minutes of shaving. The Li-Ion battery can even deliver a quick shave after a few minutes of charging. There shouldn’t be any reason to need that quick charge though. There’s a cleaning and charging station with the 9295cc. The LED display will tell you exactly how long you have on the battery, too. The shaver has a rubberized grip that has a ton of texture. When your hands are wet, you don’t want to worry about dropping the shaver. This is a very important feature if you plan on using your shaver in the shower. The shaver should be easy to hold firmly while you’re in the shower or when your hands have foam or gel on them. This shaver is waterproof, too. Not only can it be used with foam or gel, but it can be submerged in water up to 5 meters. Take it into the shower with you for a quick shave and shower at the same time. It’s convenient when you can combine morning activities to get you out of the house faster. You could even put this shaver in the car in case you’re always on the run. It’ll be easy to leave work, have a quick shave, and meet clients or friends for dinner while still looking your best. The chrome case picks up fingerprints easily. SyncroSonic Technology – There are 4 specialized elements used for cutting with this shaver. Each element performs a specific task. They have cross-cutting blades that perform 10,000 sonic movements per element. LED Display – The display on the front of this shaver will show you so much information at a glance. It shows an exact battery status level. You’ll know how much shaving time is left in the current charge. There’s a hygiene indicator and travel lock indicator, too. 100% Waterproof – Braun Series 9 shavers are completely waterproof. The shaver’s case is sealed, so you can easily bring this shaver into the shower with you. This will cut time from your grooming each morning. It’s incredibly convenient. Precision Trimmer – Shaping your sideburns is a huge part of looking your best. There’s a popup trimmer on the back of the shaver. It’ll make trimming your mustache and edges of your beard simple and easy. HyperLift – Flat lying hairs are a problem for most men. Hair can grow wild and in very different directions. The HyperLift system guides the hair in the same direction and lifts it to be cut precisely. With the flexible shaving head, this shaver will follow the contours of your face. It has a combined MacroMotion and MicroMotion to keep more of the foil in contact with the skin. When the foils stay in close contact, you’re getting a smoother, closer shave with your electric shaver. Four cutting elements on this shaver means that each one performs a specific task while shaving. There’s a direct and cut trimmer as well as sonic technology that will guide the hair for the cutting foils. Nobody’s hair grows in the same direction, so this is a great feature for every guy who wants to shave with one pass. This wet/dry shaver can be taken directly into the shower. This is one of the biggest benefits to using an electric shaver like Braun. Instead of using a regular, manual razor, you can simply lather up and give yourself a quick shave. When you combine morning grooming activities, you’re giving yourself time for other important tasks. The cleaning system needs a specific type of alcohol cleaner to clean properly. Wet/Dry Shaver – This shaver is 100% waterproof. It can be used with shaving cream or gel for a smooth shave. It’ll survive in the shower with shaving gel. The shaver can be fully submerged in water for cleaning, too. Simply hold it under the faucet to remove all the gel and hair from the shaver. MultiHeadLock – The flexible foils and head itself moves independently to follow the contours of your face. You can lock the foil and head in place to keep the foil in close contact with your skin. Your jaw line and under the chin or nose are just a few areas where this feature will work beautifully. Secure Design – When you design a shaver to be used in the shower or with shaving gel, the handle has to be non-slip. 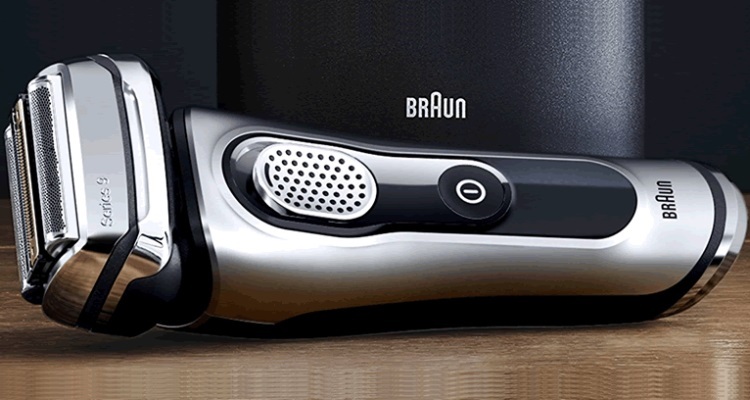 The Braun shavers all have secure, textured grip on the handle. The rubberized grip provides a secure handle that won’t slip. Precision Trimmer – The trimmer on this shaver is integrated directly into the shaver itself. It slides out of the back, so you’ll never lose it. Once you’re done shaving, pop the trimmer to get your sideburns. It’s quick and simple. AutoSense Motor – The AutoSense motor will adjust itself based on the thickness of your whiskers. It can adjust its power 13x per second. If you have denser areas of the face, this shaver will adapt itself accordingly. The SyncroSonic technology provides you with 10,000 cross-cutting actions per foil head. With 4 heads, that’s 40,000 actions per minute. Along with the AutoSense motor, the shaver will check the density of the hair and adjust itself to provide more power when its needed. Your hair doesn’t grow at the same rate or the same density across your face. It requires adjustments in your shaver. The MicroMotion and MacroMotion of the shaver foils means that you’re getting 10 directions in your shaver as it moves across your skin. Your face is angles and contours that need a shaver that adjusts and moves. The smooth space of your cheeks leads to an angled jaw line and a slope to your neck. For a close shave, the foils shouldn’t skip any areas when moving. That’s why the 10-D ability of this shaver is very thorough. The protective SkinGuard and HyperLift parts of the razor head work together for the smoothest shave possible. At the end of your shave, you’ll have smooth, soft skin without razor burn or irritation. Braun has taken everything they’ve learned about a man’s face and put that knowledge into a shaver that gives you the smoothest shave possible. The shaver doesn’t come with a charging/cleaning station. The 92xx versions of the Braun Series 9 shavers are the newer models. The 9290cc has a cleaning and charging station while the 9293s does not. The 9293s does have a charging stand, so you can keep the beautiful shaver on display. They can both be used in the shower since all the new models are 100% waterproof. The 9290cc is silver while the 9293s is chrome. Chrome is more prone to fingerprints compared to the silver. Of the two shavers, the 9290cc has the cleaning station, which makes it the better deal. The models with “cc” in their name are Braun Series 9 shavers that come with a cleaning station. The 9295cc has the cleaning and charging station included. The 9293s does not have a cleaning station included with its shaver system. They both have a titanium trimmer and SyncroSonic Technology as well as a beautiful chrome design. The real difference is the 5-action cleaning and charging station, which doesn’t come with the Series 9 9293s. The 9295cc is the upgraded model of the 9095cc. They both have cleaning stations as noted by the “cc” at the end of the model number. The original Series 9 9095cc has the old blue HyperLift & Cut trimmer. The upgraded 9295cc has the trimmer that is coated with titanium. While titanium is normally a matte gray, this coating is a nitride that gives you a distinct gold color. It won’t corrode and retains its edge. The new version is available in silver while the old is available in chrome. The silver won’t attract fingerprints. As mentioned previously, a lot can be noted by the model numbers of these shavers. The 90xx shavers are the older models in the Series 9. The 9095 is an older model, but it’s one with a cleaning station included. The 9260s is a new model without the cleaning station. The 9095cc is chrome while the 9260s is silver. They’re both the wet/dry model that can be used in the shower. 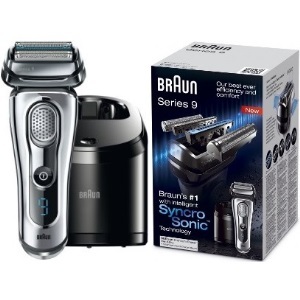 Braun is the first shaver of its kind with AutoSense and SyncroSonic Technology. The cutting elements of each foil perform a specialized task. Sonic technology gives each element 10,000 cross-cutting actions. That’s 40,000 per minute. The Direct and Cut trimmer as well as the Hyperlift work together to lift, direct, and cut hair that grows in different directions. AutoSense technology works by sensing and adjusting to the direction of the hair as well as the density of the beard. Your hair doesn’t grow in the same way all over your face and neck. It requires constant adjustment of the motor, which is something Braun shavers do incredibly well. The Protective SkinGuard will keep your skin taut for a close shave that won’t nick or cut you. It smooths the skin down and keeps the shaver from pulling painfully on the hair. The skin guard is one of the most important elements of the Braun shaver. The entire head of the shaver moves as needed across the skin of your face. This provides more movement for contours and angles. The shaver will never lift from the skin, which will give you a closer shave with one pass. It’s essential for areas like the jaw, the neck, and under the nose. Each cutting element moves independently of the next one. This is part of the 10-D movement that you’ll experience with Braun. When each element moves right and left, you’ll get a flexible shaving head that stays close to the skin. 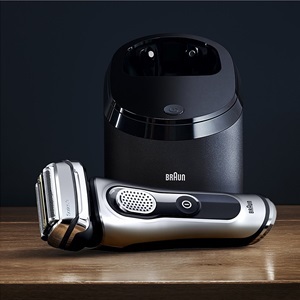 The wet/dry nature of the Braun Series 9 means that you’re getting a more flexible shaving experience. You can use the shaver dry but rinse it under running water to clean it. The shaver could be used with shaving cream or gel for a smooth shave that softens the skin. The shaver can also be taken into the shower, which will gift you with extra time each morning. The cleaning and charging station is the only one with 5 actions. Most of the Braun shavers have an indicator on the handle that will tell you when it needs cleaning. The shaver is placed in the station where it is cleaned, sanitized, lubricated, dried, and charged. You won’t get all of those actions with any other shaving system. The titanium trimmer as part of the foil cutting elements will smooth and guide the skin to the best shave of your life. There’s also a popup trimmer that can be used to shape sideburns as well as lining up areas around your beard. It’s a great way to get the hair on the back of your neck between haircuts, too. The shape of the shaver and the textured grip will ensure that you won’t drop the shaver while your hands are wet. While the shaver is durable, it can’t be dropped into the sink or on the floor without it breaking. It’s important that you’re able to hold the shaver comfortably in your hand, too. A comfortable handle means a closer shave that’s smooth and close. Inside the box, you’ll find a ton of accessories as well as information you need for your new shaver. First, you’ll find the instruction manual. You’ll be able to refer back to this as you use your shaver. Inside the manual, you’ll find your money-back guarantee return form. Keep this in case you’re unhappy for any reason. Braun has helpful customer service for issues. The next item you’ll find in the box is the travel case. Every Braun shaver has the ability to stay charged for 50 minutes after a full charge. You can take your shaver on vacation or a quick work trip without bringing the charger or cleaning station. The case is hard, so it’ll protect your shaver on your trip. Inside the travel case is where you’ll find the shaver itself. The shaver will have the shaving head already attached for your convenience. It’ll need to be charged before you can test it out. The model of the Series 9 will determine what else is in the box. If you purchased the model with a cleaning station, you’ll find that inside the box, too. There will also be a charging wire. It can be detached from the cleaning station for travel. If there is no cleaning station, you’ll still have a charging stand and wire. If the cleaning station is included, you’ll also find a cleaning cartridge in the box. This cartridge is alcohol based for sanitizing and cleaning your shaver. With or without the cleaning station, there will be a cleaning brush included with your new shaver. 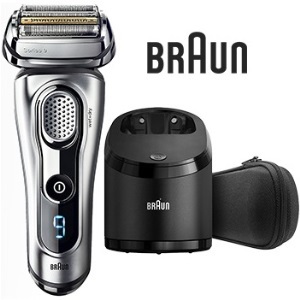 The new models of the Braun Series 9 have a titanium trimmer. This new trimmer is a lovely gold color. More than its color, the trimmer has the ability to stay corrosion free and keep its edge. The new models of the Series 9 feature a new color scheme for the handle itself. Previous versions were a shiny chrome. While stunningly beautiful, the chrome wasn’t practical. It easily picked up fingerprints, so it didn’t stay looking its best unless it was polished constantly after use. The older models had to be specifically marked to be used as a wet shaver. The new versions are all 100% waterproof. They can all be used with shaving cream or taken into the shower itself. The old models might only be dry shavers, which means they can’t be submerged for cleaning or use with shaving cream. The new models can’t be used while the charging cord is attached. Due to the shavers being wet or dry electric, the charging hole can’t be left open when used in damp environments. There are many updated features in the new models. The upgraded HyperLift and Cut, the waterproof nature of the shaver, and the aesthetics of the new shavers make them a good value. The upgraded versions are a bit pricier than the previous models because they’re new and improved. The upgrades are definitely worth the upgrade in price. This is especially true if you purchase one with all the bells and whistles like the cleaning station. Every time you use the cleaning station it’ll be like you have a new shaver. The blades will last longer, which means you’ll have more time with the blades before you’ll have to purchase a replacement shaver head. The model you choose will be based on the needs you have. If you plan on traveling with your shaver or keeping it in your car for emergency shaves, you’ll want one that is made for travel. It’ll have a portable charger as well as the ability to shave incredibly well when dry. You won’t need the cleaning station if you’re keeping this shaver in a location where portability is important. One of the new models from Braun Series 9 is what you’ll want to purchase. The 100% waterproof model like the 9290cc has a cleaning station that will keep your blades sharp and lasting a very long time. It’s also the one with the sleek silver color that won’t pick up fingerprints like the old models. If you want a shaver that doesn’t have the cleaning station, you’ll be able to purchase a new model with a titanium trimmer. It will last much longer than the other versions of the Series 9. Can the Braun Series 9 be used on sensitive skin? The Braun Series 9 can definitely be used on sensitive skin. It has a smoothing SkinGuard and titanium-coated trimmer that will give you a close shave without irritation. 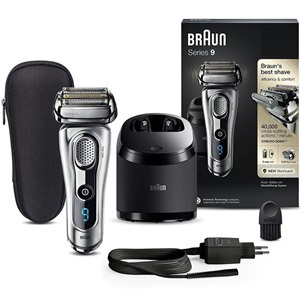 As an Afro-American man, is the Braun Series 9 a good choice? Too much oil and moisture can be removed from the skin during a shave. That can be a problem for darker skin tones. The wet/dry option of the Series 9 can be used with soothing shave gel that won’t dry out the skin. When does the head need replacement? The shaver heads can need to be replaced once a year. It’ll depend on the care given to the shaver after each use. If you care for your shaver, you can go much longer before having to replace the blades. Is EMF a problem with the Series 9? Electromagnetic fields are produced whenever an object is powered by electricity. It can be a concern for men who use electric shavers regularly, but it is not a problem since the shavers are used so quickly. Exposure to EMFs is infrequent. Will the Braun Series 9 be safe in the shower? The Series 9 upgraded models are all safe to use in the shower. They are 100% waterproof, which means they can be used with shave gel, too. Cleaning is easy even if there’s no cleaning station included. Simply run it under the faucet. 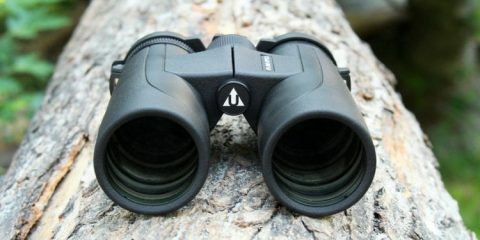 Can the Braun Series 9 be used every day? The Series 9 can be used every day. In fact, you’ll get a closer shave when using it every day. Longer whiskers can become a problem to shave since the shaver can pull on longer hairs. Will the Series 9 work for head shaving? The Series 9 will work very well for head shaving. The curve of the head can be followed by the motion of the independent shave foils. 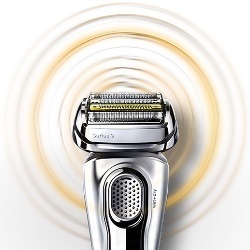 The 10-D movement of the shaver is made for curves and angles like those on the head. Are the Series 9 shavers compatible with global voltages? Some of the Series 9 shavers come with a multi-voltage power adapter. You’ll have to keep that in mind when ordering your shaver if that’s a concern. Travel to other countries means you’ll need to adapt for 100 to 240V. The Braun company took the best of the old shavers and improved upon them in the best way possible. From the titanium-coated trimmers to the addition of colors that won’t pick up fingerprints, the shavers feature all the best in German engineering. The LED screens, cleaning stations, and waterproof nature of the shavers are features that make shaving a pleasure instead of a chore.